Dr. Margaret Blanchard is a University Faculty Scholar and Professor of Science Education in the Department of Science, Technology, Engineering, and Mathematics (STEM) Education, and is the Director of Graduate Programs and Associate Department Head of the Department of STEM Education. Meg earned her doctorate at Florida State University and has conducted teacher professional development and research in FL and NC with grants from the National Science Foundation, the U.S. Department of Education, the U.S. Department of Agriculture, Burroughs Wellcome Fund, and the BelleJAR Foundation. She has published in such journals as Science Education, the Journal of Research in Science Teaching, Educational Researcher, the International Journal of Science Education, Research in Science Education, and also in practitioner journals of the National Science Teacher Association. She was the recipient of the 2013 Alumni Association Outstanding Extension and Outreach Award for NC State University, and is the Research Director of The Science House at NC State University in Raleigh, N.C.
Dr. Blanchard began studying teacher beliefs and change with professional development for her dissertation study. Her research from 2010-2014 investigated the effect of a systemic reform model on 2,000 students' STEM career awareness, interest, and preparation, involving 45 teachers and 45 leadership team members in 5 rural NC districts. Building on this work, a 2014 NSF-funded ITEST project, STEM Career Clubs, moved an intensive STEM program to an after-school setting, and added parent teams to the Strategic Teaming Model. Currently, STEM Career Clubs are continuing at 4 rural middle schools with funding from The Burroughs Wellcome Fund. Dr. Blanchard is currently studying an intervention with underrepresented undergraduate students and high school teachers who serve underrepresented students, using online courses, summer internships, and hands on classroom experiences to try to diversify the workforce in bioproducts and bioenergy fields, with funding from the USDA (2018-2021). Blanchard, M. R., Hoyle, K. S.*, & Gutierrez, K. S. (2017). How to start a STEM club. Science Scope, 41(3), 88-94. Blanchard, M. R., LePrevost, C. E., Tolin, A. D.*, & Gutierrez, K. S.* (2016). Investigating technology-enhanced teacher professional development in rural, high poverty middle schools. Educational Researcher, 43(3), 207-220. LePrevost, C. E.*, Blanchard, M. R., & Cope, W. G. (2014). Personal goals and perceived barriers of farmworker pesticide trainers: Implications for workplace safety and health. Journal of Agricultural Safety and Health, 20(4), 267-282. Albert, J. L.*, Blanchard, M. R., Kier, M. W.*, Carrier, S. J., & Gardner, G. E.* (2014). Supporting teachers’ technology integration: A descriptive analysis of social and teaching presence in technical support sessions. Journal of Technology and Teacher Education. 22(2), 137-165. Kier, M. W.*, Blanchard, M. R., Osborne, J. W., & Albert, J. L.* (2014). The development of the STEM career interest survey (STEM-CIS). Research in Science Education, 44(3), 461-481. Kier, M.W. *, Blanchard, M. R., & Albert, J. L.* (2014). Connecting students to STEM careers. Science Scope, 37(6), 72-76. Blanchard, M. R., Osborne, J. W., Wallwork, C. & Harris, B. S. (2013). Progress on implementing inquiry in North Carolina: Nearly 1,000 elementary, middle and high school science teachers weigh in. Science Educator, 22(1), 37-49. LePrevost, C. E.*, Blanchard, M. R., & Cope, W. G. (2013). Beliefs of science educators who teach pesticide risk to farmworkers. International Journal of Environmental and Science Education, 8(4), 587-609. Sampson, V. D. & Blanchard, M. R. (2012). Science teachers and scientific argumentation: Trends in views and practice. Journal of Research in Science Teaching, 49(9), 1122-1148. Southerland, S. A., Sowell, S., Blanchard, M. R., & Granger, D. E. (2011). Exploring the construct of pedagogical discontentment: A tool to understand science teachers’ openness to reform. Research in Science Education, 41(3), 299-317. Blanchard, M. R., Southerland, S. A., Osborne, J. W., Sampson, V. D., Annetta, L. A., & Granger, E. M. (2010). Is inquiry possible in light of accountability? A quantitative comparison of the relative effectiveness of guided inquiry and verification laboratory instruction. Science Education, 94(4), 577-616. Addy, T. M.* & Blanchard, M. R. (2010). The problem with reform from the bottom up: Instructional practises and teacher beliefs of graduate teaching assistants following a reform-minded university teacher certificate programme. International Journal of Science Education, 32(8), 1045-1071. Blanchard, M. R., Harris, J., & Hofer, M. (2010). “Grounded” technology integration using science learning activity types. Learning & Leading With Technology, 37(6), 32-34. Blanchard, M. R., Southerland, S. A., & Granger, D. E. (2009). No silver bullet for inquiry: Making sense of teacher change following an inquiry-based research experience for teachers. Science Education, 93(2), 322-360. Blanchard, M., Sharp, J. *, & Grable, L. (2009). Rev your engines! Linking physical science and math with car labs. The Science Teacher, 76(2), 35-40. University Faculty Scholar, NC State University, 2016-Present. 2014 - Paper selected by the NSTA Research Committee for NSTA’s Research Worth Reading featured articles: Blanchard, M. R., Osborne, J. W., Wallwork, C. & Harris, B. S. (2013). Progress on implementing inquiry in North Carolina: Nearly 1,000 elementary, middle and high school science teachers weigh in. Science Educator, 22 (1), 37-49. Abstract will appear in Summer 2014 issue of Science & Children and pdf will be available to all NSTA members. 2013 - Alumni Association Outstanding Extension and Outreach Award, NC State University. 2013 - Outstanding Extension and Engagement Award, College of Education, NC State University. 2013 - Inducted into the Academy of Outstanding Faculty in Extension and Engagement, NC State University. Co-Editor, Teacher Education Section of Science Education, 2016-Present. Blanchard currently serves as Co-Principal Investigator and Educational Researcher for Preparing Diverse and Rural Students and Teachers to Meet the Challenges in the Bioenergy and Bioproducts Industry. (2017-2021, Funded). USDA, $2,750,000/4 years. Blanchard currently serves as Project Director for Sustaining STEM Career Clubs in Rural North Carolina. (2018-2021, Funded). Burroughs Wellcome Fund, Student Science Enrichment Program. $179,061/3 years. Blanchard currently serves as Co-Principal Investigator and Lead Researcher for STEM Career Clubs: Enhancing the potential of underrepresented students in STEM careers through a Strategic Teaming Model. (2014-2018, Funded). National Science Foundation, $1,199,625/3 years. 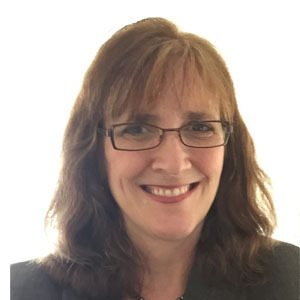 Blanchard recently served as Principal Investigator of STEM Teams: Promoting Science, Technology, Engineering, and Mathematics (STEM) career interest, skills, and knowledge through Strategic Teaming. (2010-2014, Funded). ITEST Strategies, National Science Foundation, $1,199,963.00/4 years. Blanchard recently served as Co-Principal Investigator for The Modeling Project: Enhancing Biology and Physical Science Instruction. (2014-2017, Funded). Math & Science Partnership Grant, Department of Public Instruction, NC, $ 1,468,518.00/3 years. Blanchard served as Co-Principal Investigator of STEM Teams: Student Scholar Camp. Promoting Science, Technology, Engineering, and Mathematics (STEM) career interest, skills, and knowledge. BelleJAR Foundation, funded $100,000.00/4 years in Dec. 2010.